Chart Update: Will Clean Bandit Muscle Their Way To No.1 With 'Stronger'? Wiz Khalifa rocketed straight to the top of the chart last week with his 'Furious 7' soundtrack song. This weekend however Clean Bandit are back with their catchy tune 'Stronger' and are looking to knock the rapper off his perch. New entries from Wiz Khalifa, Omi, Lethal Bizzle AND Dr. Kucho flooded the Vodafone Big Top 40 last Sunday pushing Nick Jonas and Stevie McCrorie down the pecking order. However this week it may be a different story all together; former No.1 band Clean Bandit are the only other act pushing for that coveted No.1 spot with their new single 'Stronger'. The American rapper teamed up with singer/songwriter Charlie Puth to bring us this tear-jerking single from the 'Furious 7' soundtrack. The song is dedicated to actor Paul Walker who tragically passed away during filming two years. Check out the 14 BEST movie soundtrack songs you need to hear. 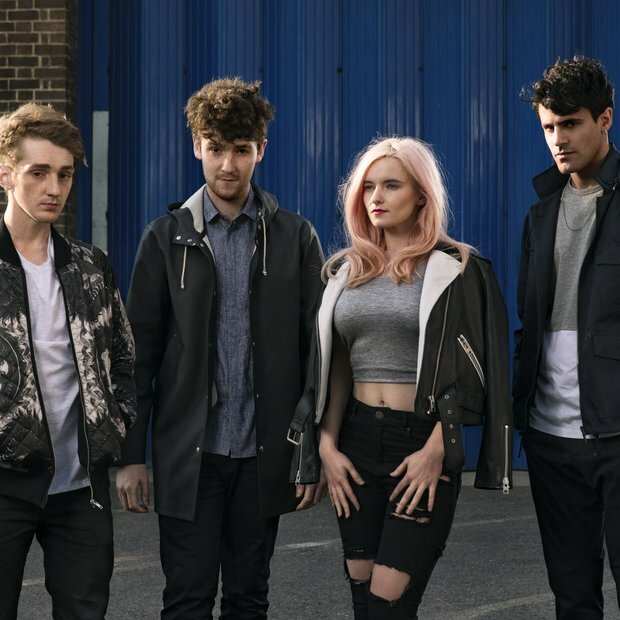 Watch the music video for Clean Bandit's No.1 single 'Real Love' featuring Jess Glynne. Catchiest song of 2015 already? We think so! Jamaican soul singer has made a giant splash in the music industry with this breakthrough single and with all this sunshine beaming down on us at the moment we can't imagine Omi will be moving down the chart any time soon. Spinnin' Records have bought some absolute bangers in the last 12 months such as Alex Adair's 'Make Me Feel Better' and Mike Mago's 'Outlines'. Now we have another! Oliver Heldens has remixed a song that was bought out a HUGE 10 years ago. It already charted at No.5 last Sunday and looks like it'll only move upwards. Remember to tune in at 4PM on Sunday with Marvin Humes to see who will be battling for the top spot.